U.S. tells Russia: Give us back our Humvees! But the Russian side has suggested the Humvees, which it says were detained near the Georgian port of Poti during a peace-making operation, were carrying “interesting” military equipment. 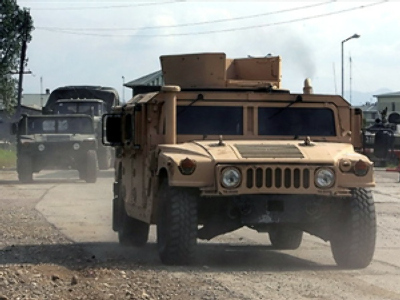 Now the U.S. wants the vehicles to be returned or at least get compensation. On Wednesday, General James Conway, the commandant of the U.S. Marine Corps, was asked at a Pentagon news conference what he intended to do about the Russian capture, worth $540,000. “I think we're going to send the Russians a bill and tell them, you know, 'Either pay up or give us back our vehicles, guys,'” he replied. But Anatoly Nogovitsyn, deputy chief of Russia's General Staff, said he is not eager to return the five Humvees. He said the Russian military had closely examined them and found “a lot of interesting stuff”.